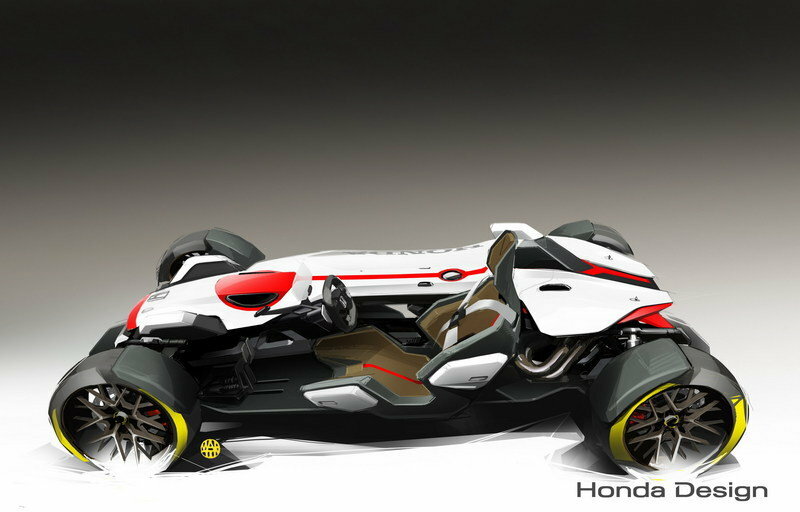 Note: Honda Project 2&4 Concept pictured here. I’m not ashamed to admit that I’m prone to occasionally voicing out my whimsical childhood fantasies. 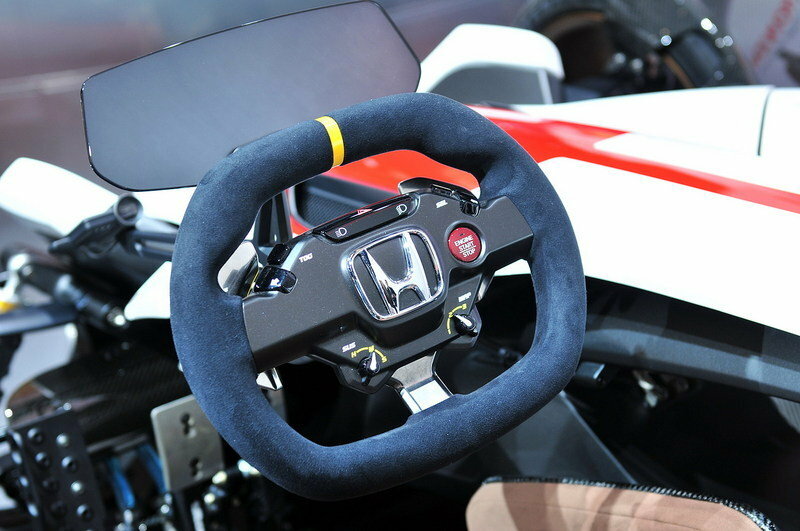 I never owned a Big Wheel so forgive me for drooling over Honda’s Big Pedal. I can’t help it. I’ve always wanted one, and even if I’m the ripe old age of I’ll never tell, the urge to take this bad boy out for a spin is already getting me excited. 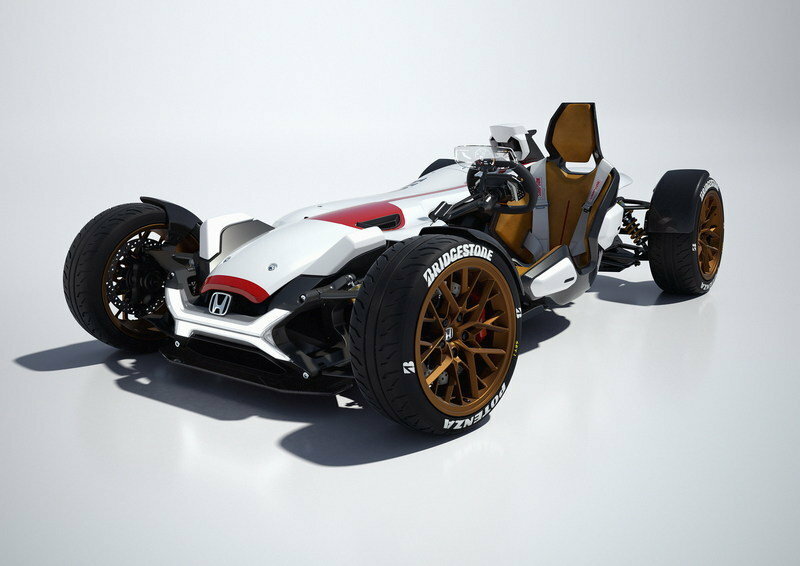 Obviously, that dream is contingent on Honda actually producing and selling the damned thing so, fingers crossed. Now, about the Honda Big Pedal. It’s surprisingly big for what it is. It measures 47 inches long, 22 inches wide, and 24 inches tall at its highest point. For a little perspective, it’s more than half the length of the 91.2-inch Renault Twizzy. The car’s weight is kept down, too, thanks to the use of carbon fiber, specifically to make the floor and the rear diffuser. Yep, the Pedal Car has a rear diffuser. Take that, Big Wheel! The carbon fiber isn’t the only thing cool about this tide, either. 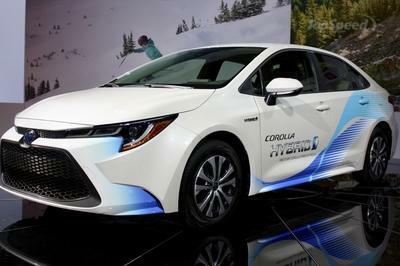 It has its own set of lights that are powered by an onboard lithium-ion battery. 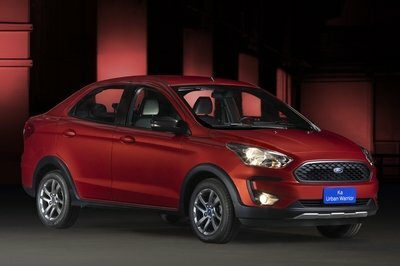 There’s also a compartment under the hood that serves a variety of functions. It has a plug that allows you to recharge your phones and it has enough space for you to pack food so you’ll never go hungry when you’re out and about in the Big Pedal. Honda even calls the storage area the “snack compartment” for reasons that should never be misconstrued. Obviously, the Big Pedal has no engine, and its power output is subject to your leg strength, stamina, and all-around endurance. Still, you take what you can get from this thing, and I’m all for taking it provided that Honda offers it. Speaking of which, Honda hasn’t said if it’s sending the Big Pedal to production. It should, though, and I’m not saying that because I want one. Well, I do, but I bet I’m not the only one. At the very least, it’s a product that’s going to be far easier to move compared to the Project 2&4, the concept from which it was inspired from. 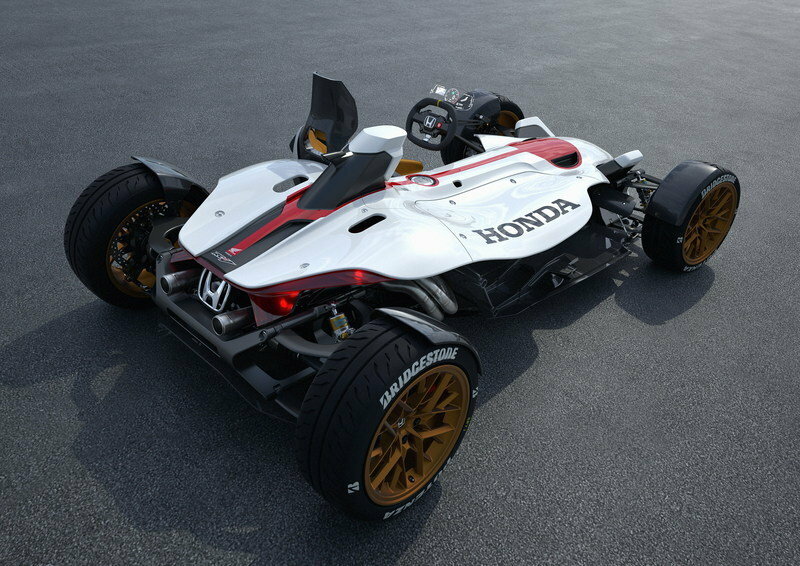 For those who don’t know, Honda introduced the Project 2&4 Concept back in 2015 at the Frankfurt Motor Show as a part-track car, part-motorcycle prototype. It had a cool track-day racer look to it, and it came with a modified spec of Honda’s 999 cc V-4 RC213V competition motorcycle engine that produced 215 horsepower and 87 pound-feet of torque. 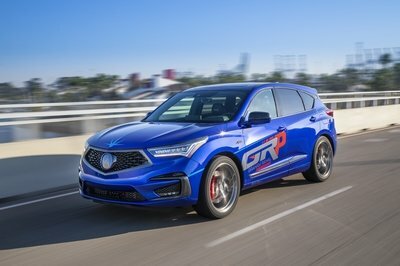 It caught a lot of people’s attention, but apparently not enough for Honda to justify building the thing. We haven’t seen it since, though there have been rumors in the past that it’s headed for production. Hopefully, we don’t end up saying the same thing for the Honda Big Pedal. I don’t think I’m the only person in the world who wants to bring one of these bad boys home. Read our full review on the 2016 Honda Project 2&4. 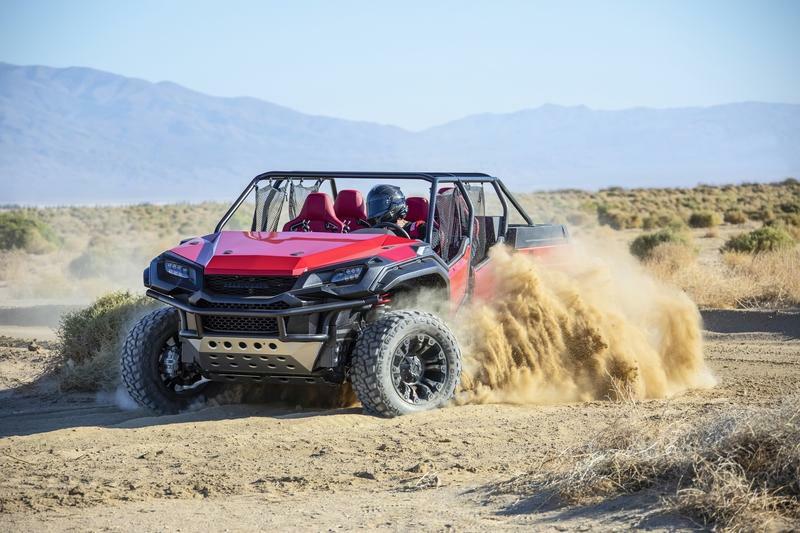 Read our full review on the 2018 Honda Rugged Open Air Vehicle Concept.